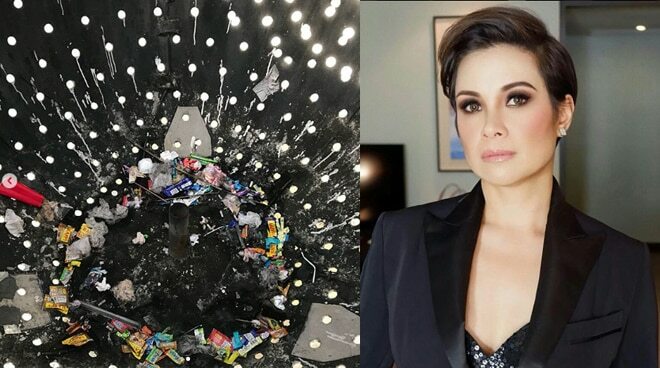 Lea Salonga expressed her disappointment after finding out that a ball-shaped art piece at Serendra in Bonifacio Global City was filled with trash. In an Instagram post, Lea shared, "Serendra. We spotted this ball while waiting to be picked up. Out of curiosity, we peeped through the holes to see what was inside. Imagine our shock and disappointment to find that it’s been turned into a trash bin. Sigh." Lea's followers also expressed their shock and disappointment over the sighting. Serendra. We spotted this ball while waiting to be picked up. Out of curiosity, we peeped through the holes to see what was inside. Imagine our shock and disappointment to find that it’s been turned into a trash bin. Sigh.